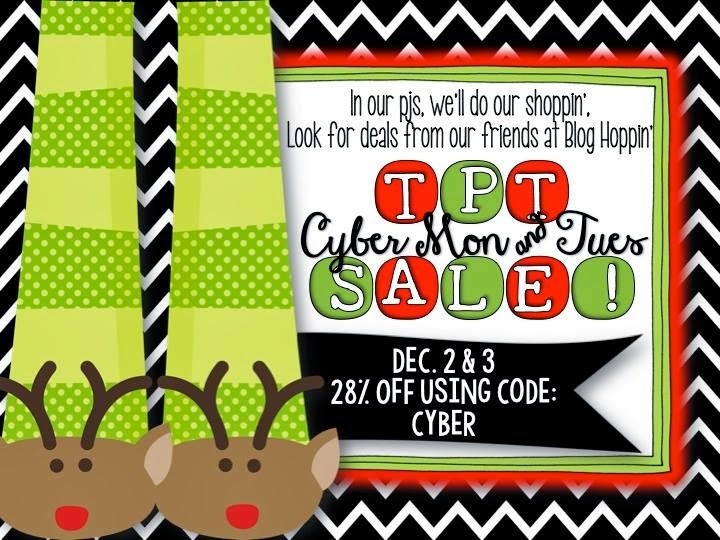 Blog Hoppin': get prepped for CYBER Monday! get prepped for CYBER Monday! Thank you Amy for this adorable button!! Tomorrow's the day! Hip Hip Hooray! Unfortunately I won't be in my pj's, I'll be at work! But there will certainly be a spare moment to tackle my wishlist! We will also have a fun little linky Monday evening to show what we bought! New Year's Resolutions with Blog Hoppin! Let's Celebrate (and have a little sale)! Are you ready for 2014? ?